Rising dissatisfaction from users with their mobile network performance could lead to opportunities for resellers able to support customers as they make the move towards providing greater employee use of their own devices. The strain placed on networks has increased as laptops, tablets and smartphones have become more widely deployed throughout organisations and the problems are set to worsen as more staffv bring their own wireless devices to work. The latest iPass mobile workforce report indicates that users are getting frustrated with the quality of the mobile networks they are being offered. Although the report found that laptops remain the most popular mobile device there are more tablets coming into organisations, likely to be increased by the launch this week of the iPad 3, and the projections for bandwidth use are set to spiral in the next few years. "According to Cisco, in the UK the average mobile connection will generate 4,608 megabytes of mobile data traffic per month in 2016, up 983% from 424 megabytes per month in 2011. In fact Gartner reported recently that without proper planning, enterprises deploying iPads will need 300% more Wi-Fi," said Rene Hendrikse, vice president Emea at iPass. "This in turn, is and will continue, to place great strain on corporate IT departments, who are looking to support a budding mobile workforce. 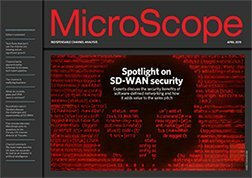 With Wi-Fi being key to the effective functionality of devices such as tablets, whose penetration in the enterprise is likely to reach 80% this year, significant opportunities exist for resellers who facilitate the provision of seamless Wi-Fi access to businesses in the office and beyond," he added.